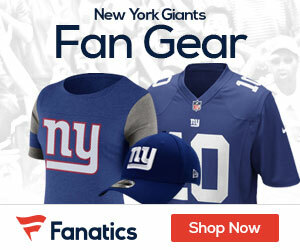 « Should Giants Focus on Offensive Line or Cornerback in First Round of 2014 NFL Draft? Major Giants Coaching Changes? Fuggettaboutit! Major Giants Coaching Changes? Fuggetaboutit! Although many fans — and media types — are calling for Tom Coughlin’s head, I don’t think they’re going to get it; and I don’t think they should get it. I still think the fatal weakness of the NY Giants this season wasn’t Tom Coughlin; it was the ineffective ‘O’ line: due to a combination of injuries, old age and years of Free Agent and Draft neglect. Only one rushing first down. Only 1.8 yards per rush. Only 4.5 yards per pass play. Only one of 10 third downs made. The Giants offense didn’t cross midfield until half of the fourth quarter was over. So, now, many loyal Giants fans are awaiting –- and rightfully expecting — major coaching changes. And God knows they should, but I don’t think that’s happening. Mara and Tisch don’t run a knee-jerk organization given to making rash decisions. Jerry Reese and Tom Coughlin are responsible for two Super Bowls in seven years and only two losing seasons in ten years; and neither one is getting fired. And Tom Coughlin –- who truly believes in his offensive system — is not going to fire Kevin Gilbride. So, like it or not –- and most Giants fans won’t like it, and there’s no reason they should — the Big Blue offensive coaching staff will probably remain the same cast of despised characters in 2014. Aside from Gilbride, Perry Fewell’s contract is expiring; but will they let him walk? I don’t think so. The ‘D’ showed a lot of fire and tenacity last Sunday, holding Seattle’s powerful running game to only 3.9 yards per rush and giving up only three third downs in thirteen tries. And even though the Giants turned the ball over five times, the Giants’ ‘D’ still held Seattle to only 23 points -– five points below their season average of 28. The ‘D’ was spirited and effective and hit people hard; they were just on the field much too damn much, getting no help from the ‘O’. That improvement, though, may fool Tom Coughlin into retaining Fewell, even though, without Jon Beason, he’s been an awful coordinator. The special teams unit is probably one of the worst in pro football, and this unit screams for change; but will Coughlin – who is loyal to a fault — dump his coordinator, Tom Quinn, and promote Larry Izzo, who was a special teams demon? Maybe. I hope so. But probably not. So, without these major coaching changes, is there any hope at all for the badly battered and bruised NY Giants’ fan base, all holding their collective breath and waiting for changes? Maybe. I believe the major changes will be in personnel. The Giants may –- hopefully -– alter their robotic Draft philosophy and not automatically take the best available athlete, unless he also fills one of their needs. Taking an un-needed QB like Ryan Nassib, just because he was highly rated, made no sense with Eli Manning solidly entrenched and with so many other pressing needs -– like quality ‘O’ linemen. Drafting Cooper Taylor with a, then, healthy Stevie Brown, coming off a career year, and with Antrell Rolle and Will Hill, was similarly unproductive and robotic. I also think they’ll let a number of high-priced, non-productive, and only moderately productive, veterans walk; and then be active in free agency, starting with emphasis on the ‘O’ line. If they do effectively reconstruct the ‘O’ line,’ Eli will get the time he needs to complete his passes -– even the long ones –- instead of getting beaten to a pulp every week; and the running game will be effective, too, allowing the Giants the keep their offense balanced. And when the Giants are balanced and scoring points — and maybe even playing with a lead — the Giants ‘D’ line can be more aggressive and ring up more pressures and sacks. Do I agree with this approach? No. Aside from keeping Coughlin and Reese, I think major coaching changes are warranted, and warranted immediately — especially the three coordinators who should all go. And if 2014 is a re-run of 2013, that major house cleaning will take place. But good grief, who the hell wants to go through another season like this one? I’d rather be circumcised with a broken Coke bottle and a rusty butter knife … well, maybe not … but you get my drift. And remember this, too, Giants’ fans: Tom Coughlin has been on the “Hot Seat” twice before and both times, he and his staff, responded with Super Bowl Championships. And because of that twice-proven track record, he and Eli and his coaching staff have –- perhaps, unfortunately — earned one more chance. I don’t like it and I don’t approve of it; but I understand it. So? Major Giants coaching changes? Fuggetaboutit! So Mr. Alvin you don’t think the coach was responsible for the offensive line? Hmmm. Pretty simplistic don’t you agree. It is quite understandable and having spent forty years as a business strategist I would agree with my Uncles. You almost claim that tooth fiery is responsible for the decline of the Giants instead of the people who get paid millions to keep this organization at the top of the NFL elite. Well, I have watch sixty years of Giants football and I can tell you this; the Giants have never been an “Elite Organization.” An elite organization would not have paid a head coach six million a year for embarrassing it by hiring ineffective coaches – for over ten years. An elite organization would not have built the monstrosity in the Meadowlands called Met Life Stadium for one billion six hundred million. An elite origination would not have drafted Ryan Nessib on the forth round when they needed more help at the o-line and d-back. An elite organization would not put a team on the field with uniforms that look like ballerina too-too’s. An Elite organization would not have given a new contract worth forty five million to a left tackle who can’t block…well – elite defensive ends. And an Elite organization would never have taken their eye off of the only guy who could get them to the playoffs – Eli Manning! Enough said: I’ll take my Uncles opinion over yours any day Mr. Alvin because you are not laying out the money to pay these ineffective people. The Giants problems clearly start with Mara, Tics, Reese and Coughlin. Granted we won two Superbowl, How many playoff appearances do we have with TC? The team consistently has collapsed during the 4th quarter of the season leaving us out of the playoffs.